Every reader should have a few troubling writers in their life. Writers who niggle at you and mess with the truisms you’ve grown fond of. Ever since I read A Life’s Work, her bravely navel-gazing non-fiction book about motherhood, Rachel Cusk has been one of those writers for me. Even more so now I’ve read her bracing and brilliant and odd novel Outline, shortlisted for the 2015 Baileys Women’s Prize for Fiction. The narrator of the novel is a woman (only late on do we discover her name) who flies to Athens to teach on a one week writing course. I say ‘narrator’, but actually she is an indistinct figure; like the artist whose self-portrait appears in the mirror in the background of a painting. And ‘all’ that really happens in Outline is a series of conversations between the ‘narrator’ and various interlocutors who cross her path during the week. They include the billionaire she lunches with in London just before leaving; the thrice-divorced man she sits next to on the plane, thereafter referred to as ‘my neighbour’; Ryan, her fellow tutor; a Greek feminist novelist of some renown; and the students in her creative writing class. 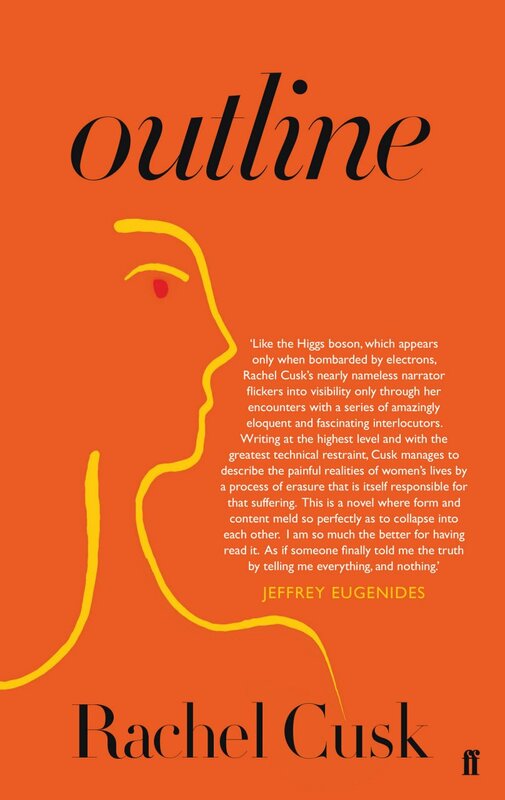 I found myself drawings comparisons between Outline and Sheila Heti’s How Should a Person Be?, another ‘philosophical’ novel about ‘how to live’ which I reviewed for this site two years ago. Reading it was a chaotic, exasperating experience. Despite glints of insight, it felt brittle and self-indulgent and showy. 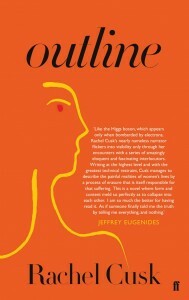 Outline, on the other hand, is the real deal. It is a stealth bomber of a novel. You can barely see it, but its aim is devastating.